Coal Headwear is partnering with Protect Our Winters on a new beanie that consumes 76% less energy, 85% less water and 76% less waste than a typical acrylic beanie, just in time for the holiday shred season. A portion of the proceeds will support Protect Our Winter’s advocacy around climate change. Coal will be one of the first US-based brands to introduce the new Polylana yarn to the outdoor industry. Polylana is made from virgin and recycled polyester and has similar characteristics to acrylic or wool fiber. Using this material saves 5 liters of water per beanie, when compared with acrylic. The production of this fiber also releases 19% less CO2 than traditional polyester materials. The material is ACH Compliant, Formaldehyde free and its vegan! Want to eat one? They’re $30 each, go on sale December 17, 2018, and are in limited supply. Click the link and buy, buy, buy. The San Onofre Nuclear power plant problem is too serious to joke about, so just take eight minutes and watch this. 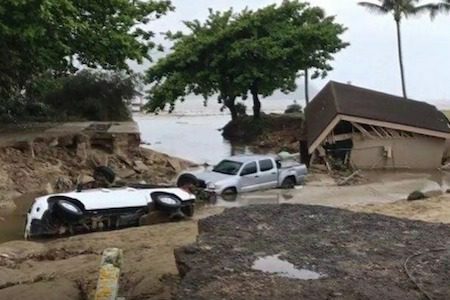 A GoFundMe campaign has been set up to help those most affected Kauai’s Hanalei-Haena Flood. Over $200,000 has already been raised, but the goal is $1 million. Here’s what organizers Koral McCarthy, Gabby Reece, and Hannah Skvarla have to say about it. Your donations will help us move past this devastation, and we will remain transparent about how they are being managed. Thank you for your patience as we continue to work out logistics while also doing our part with impacted friends and neighbors. Thank you so much! Tomorrow is Earth Day, maybe you can do you part be helping some people in this specific part of the world. For all the details, please click the link. On Earth Day (April 22, 218) Jones Snowboards will be donating 100 percent of online sales to POW: Protect Our Winters. That means, if you’re going to buy something from Jones Snowboards, tomorrow is the day. Jones Snowboards is a proud member of 1% For Planet. Every Jones product we make gives back to the playground we strive to protect. In honor of Earth Day on Sunday, April 22nd we are stepping up that support and donating 100% of online sales to Protect Our Winters. All online customers who make a purchase on Earth Day will also be registered for a free membership to POW. 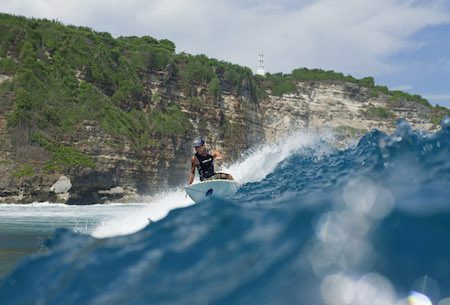 Jeremy Jones has been making big moves for the environment for years, can you help tomorrow? For all the details, click the link. For more info, follow the jump. 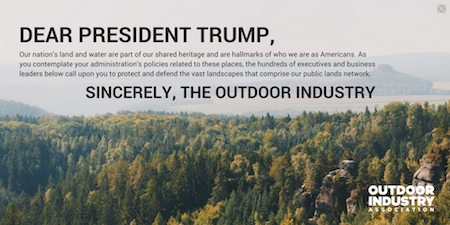 As leaders of more than 350 American companies, we ask you to embrace the conservation ethic of your predecessors and keep current protections in place for our public lands and waters, ensuring these places live on for the benefit of every American today and for generations to come. That’s a pretty big ask, and it won’t do a thing to change our current situation, but it’s a nice try. 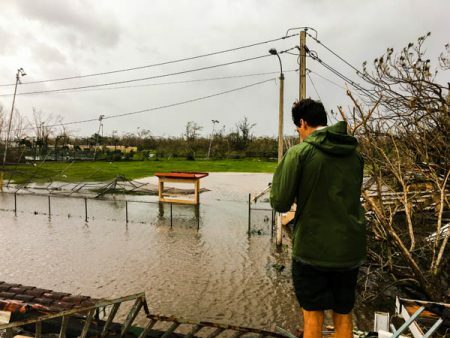 Led by the SIMA Humanitarian Fund, the surf industry is coming together to help the victims of both Hurricane Irma and Maria in Puerto Rico. All funds will be routed to Waves For Water, who is on the ground in Puerto Rico working to secure access to clean drinking water in the most impacted and neglected areas of the U.S. Territory. If you’d like to help, click here. For all the details, please follow the jump. Our National Monuments were established after extensive public input because they provide unique and irreplaceable cultural, ecological, economic and recreational value worth protecting for our children and our grandchildren. As stewards of America’s federal public lands, the Trump administration has an obligation to protect these most special wild places. Unfortunately, it seems clear they intend to do the opposite. In a statement released today (Wednesday, April 26, 2017) Marcario urges everyone who loves America’s public lands to contact their members of Congress and Interior Secretary Ryan Zinke to “express outrage at the Trump administration’s efforts to roll back National Monument protections.” For the official statement from Marcario, please follow the jump.